Grand Opening! 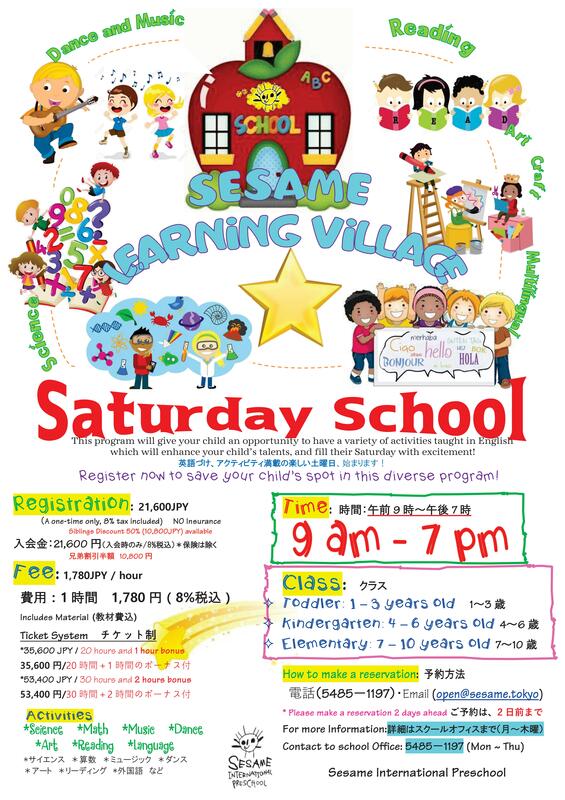 Saturday School | Welcome to Sesame International Preschool ! age 1 to 10 years old, open from 9 am to 7 pm! * Available to pick your child’s favorite subjects according to class and time. Fitness for 2 years old – Be Healthy! Get Active! New English Program “AWESOME ENGLISH” for Parents starts from January 2019!